Keep Jane Austen’s signature wit right in your pocket with The Tiny Book of Jane Austen. 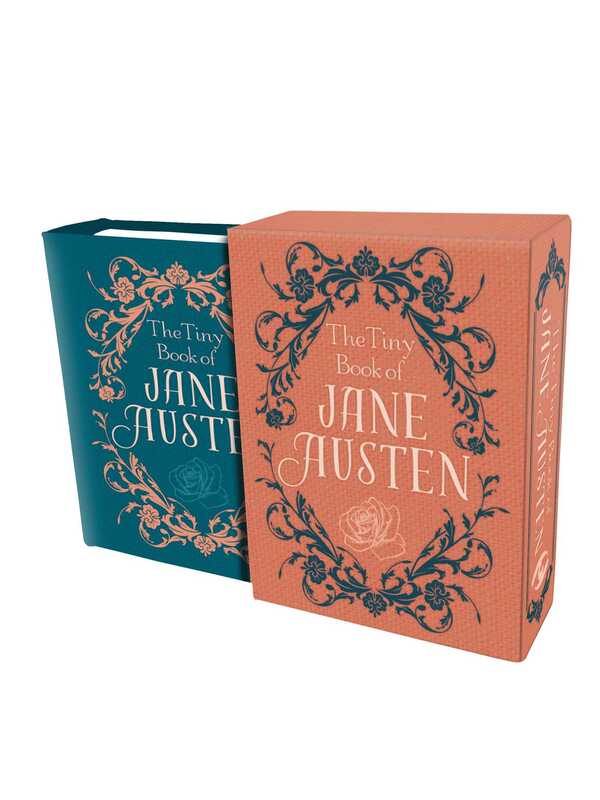 In this delightfully tiny book, discover literary icon Jane Austen’s famous wit and wisdom. Whether delivering powerful dialogue through characters like Elizabeth Bennet and Emma Woodhouse or powerful sociopolitical commentary in her letters, Jane Austen has been dazzling readers with exceptional intelligence and humor for more than two centuries. The Tiny Book of Jane Austen is packed with memorable quotes from one of the most influential writers of all time and is perfect for every Jane Austen fan.